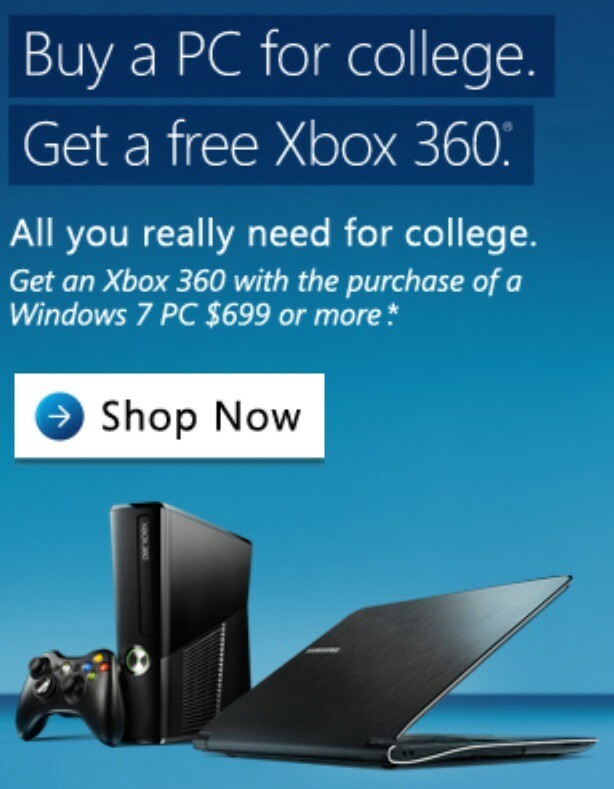 iP3: Has Microsoft really become this desperate? *Get a free Xbox 360 4GB console with the purchase of a Windows 7 PC $699 or more at participating retailers in the U.S. from 5/23-9/3 or while supplies last. Verification of student status required. See participating retailers for full details. See Windows.com/FreeXbox on a PC for full retailer details.